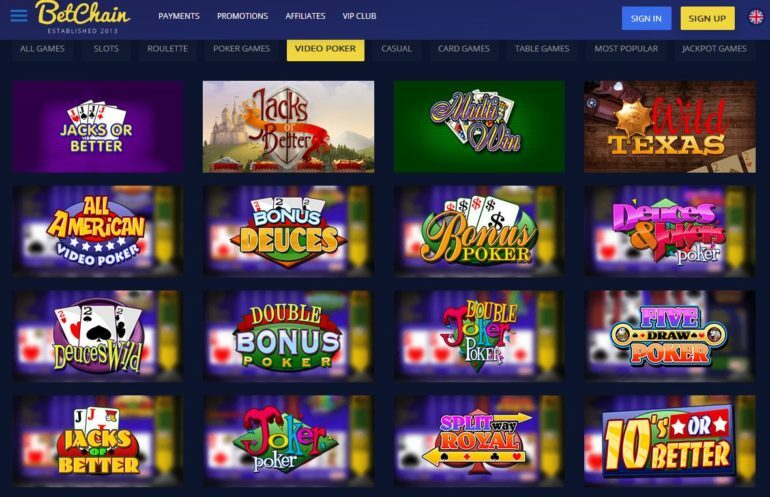 What’s great about BetChain.com is that you are able to see the “Poker Games” tab easily and it is not obscured from your vision. 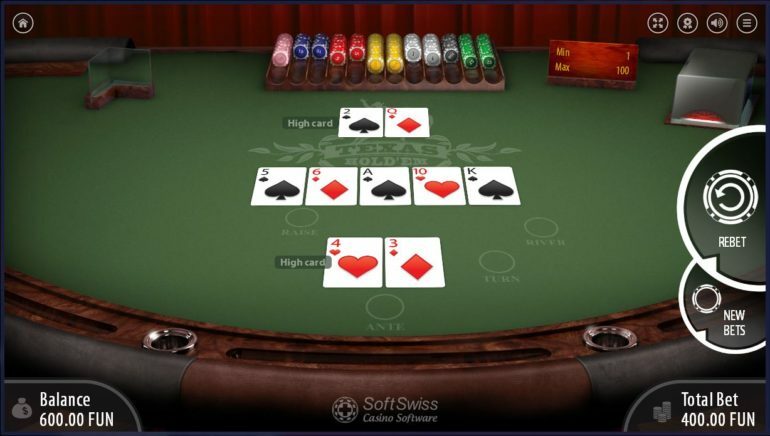 Unlike other websites that it would take you a good 5-10mins just to look for the Poker tab! 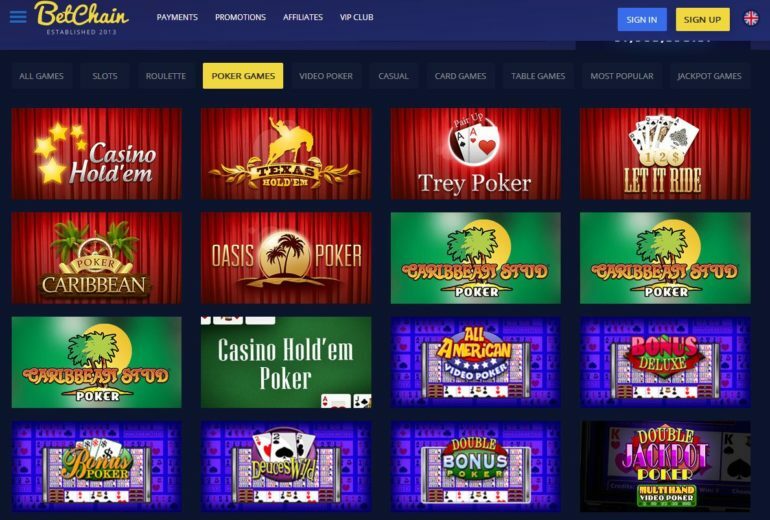 Here at BetChain.com, the Video Poker tab has been separated by the main Poker tab. 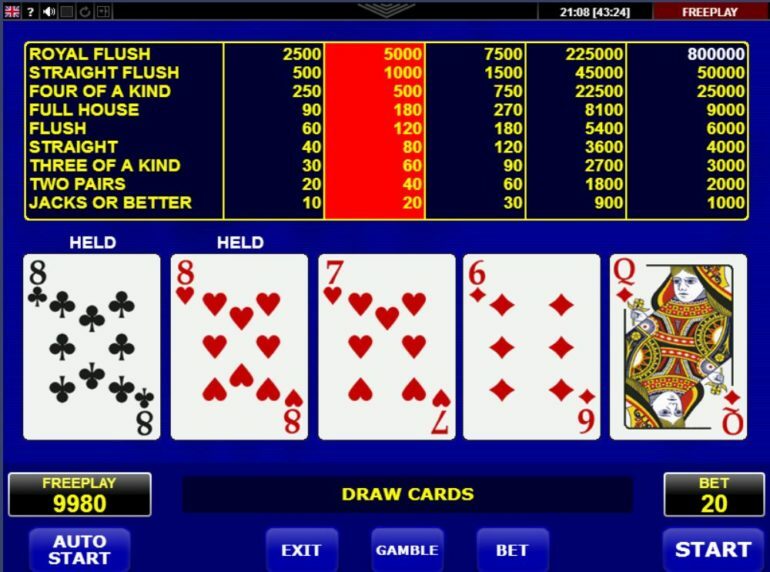 This way people that are a fan of Video Poker can easily get to this tab and play with the machines all day. Not to mention, some of their machine games are retro! The game starts after you decide how much you want to bet. After you have pressed the button of the desired bet, you will be able to choose to play from 1 to 5 coins. Once you have chosen how many coins (multiplier) you want to play with, press “DEAL”. The machine will give you five cards and at this point, you are able to hold cards that you think would help you win. Click “DEAL” again for the machine to draw a different set of cards. If you win, you will get the chance to double up your winning. To win the double up you need to have a higher card than the dealer. 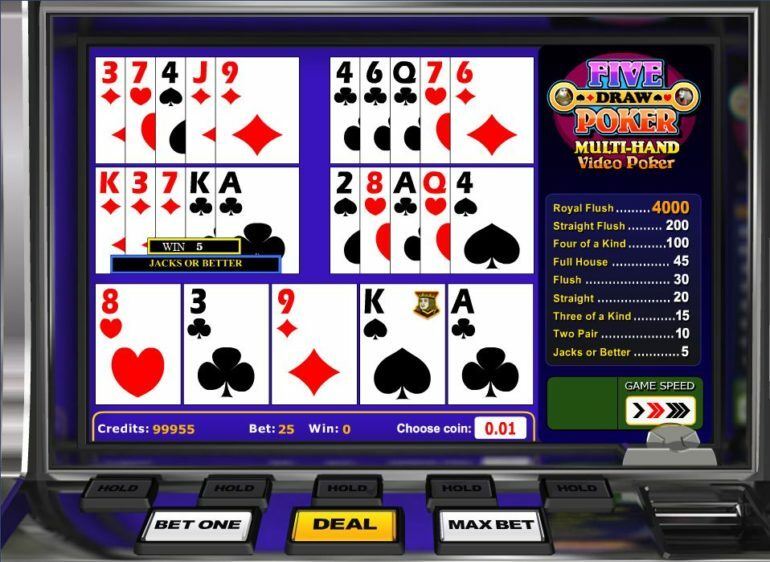 To start the game you need to choose your bet and choose how many hands you want to play. Maximum multiplier is 25 and minimum is 5. Please be advised that the cards that you want to hold would reflect all the cards in your hand. To start the game you need to choose your bet. Depending on your bet you are able to see on the chart above on how much you are going to win. Before you are going to start; make sure that your “Gamble” is turned on or off depending on your preference. This refers to the double gamble if you win a hand against the dealer. Turning this ON will automatically turn on the feature and turning it off is the opposite. Once you are ready click on START and the machine will draw five cards for you. At this point, you are able to hold cards. Click on the cards you want to hold and click start for the machine to draw additional cards in exchange for the ones you do not want to keep. This is definitely one of their retro Poker machines. To start the game you need to choose your bet from a minimum of 10 to maximum of 1000. 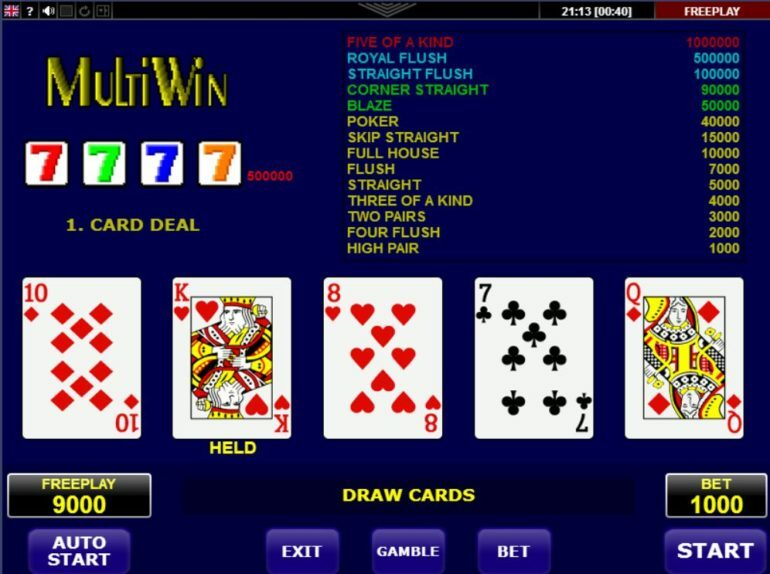 If you are lucky enough to get a quad seven on your hand, then you win the total pot showing on the current board. When you are ready to start, click “START” and the machine will deal five cards to you. After the machine would deal five cards you will then be given the chance to hold the cards that you want to keep and the machine will draw additional cards that you do not want. To start the game you need to choose your Ante and the double AA bonus. You can, however, proceed with the game without the bonus bet. Once the Ante is placed, click on the “DEAL” button and this will signal the dealer to start the game. The dealer will give you two cards, two cards on this end as well. Three cards face up will also be placed in the middle. If you raise, you automatically double your Ante, if your Ante is 100, you need to add 200 in order to raise and if you fold, of course, you forfeit your Ante. To start the game you need to choose your Ante and click on “DEAL” this would start the game and the dealer will give two cards each side. If you decide to Raise, you need to put in additional bets to the table, this is x2 your original Ante bet and the dealer will open up 3 additional cards in the middle face up. After that, you can either Bet or Check. Choosing bet will add an additional chip to the table with the same value as your Ante. You can bet until the last card (River) is drawn. You are able to choose from the same Ante from the previous tables mentioned above. 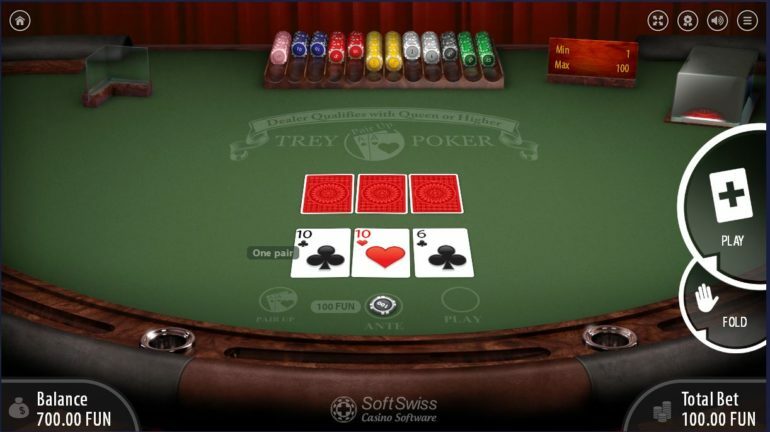 In Trey Poker you have the ability to add additional bets for pair ups aside from your Ante. If you do not have a pair the dealer wins and keeps your bet. If you have a pair, you win x2 the amount you placed under “PAIR UP”. 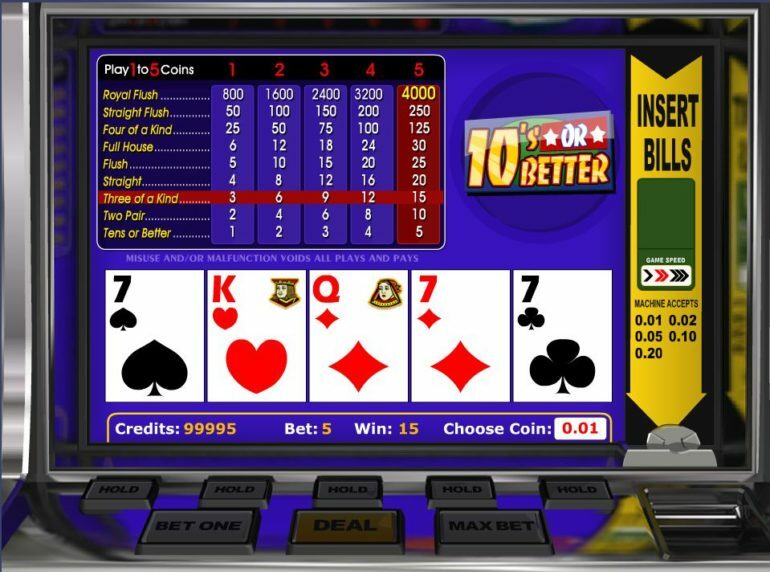 Once you have decided how much you want to bet just click on PLAY to start the game. 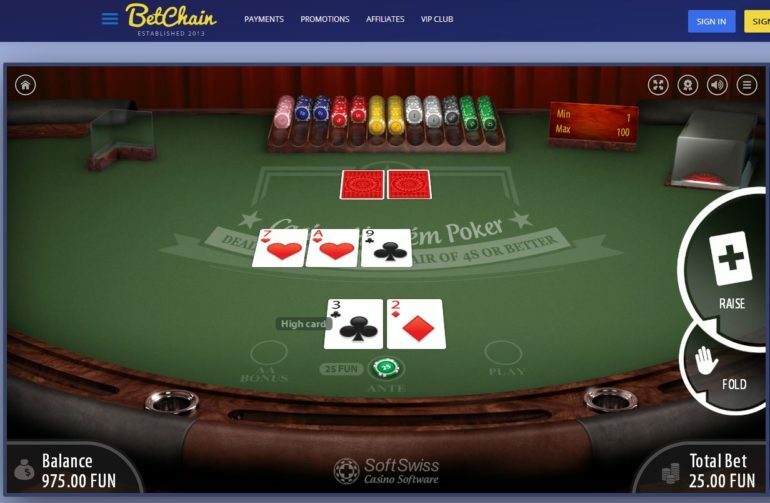 BetChain.com is not a bad website with just enough Poker games to help you go through the day. This type of website doesn’t have thousands of games in it but just enough for you to choose which table to sit at. Due to the “Retro” machines that they have, this website gives me that 80’s Casino vibe that I am not sure if I like or not. But all-in-all, not a bad website to win a few Bitcoins from.